The Joint Admissions and Matriculation Board (JAMB) announced the cut off marks for 2015`/2016 admission into Universities and Polytechnics in Nigeria. After a policy meeting, the JAMB registrar, Professor Dibu Ojerinde announced that the cut off mark for Universities has been set at 180 while it has been set at 130 for Polytechnics. 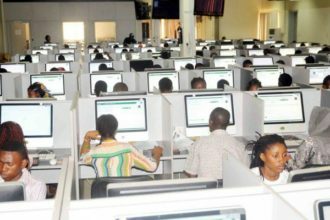 In the same breath, he also revealed that the deadline for Universities to conduct their Post UTME exercise is October 31, 2015.